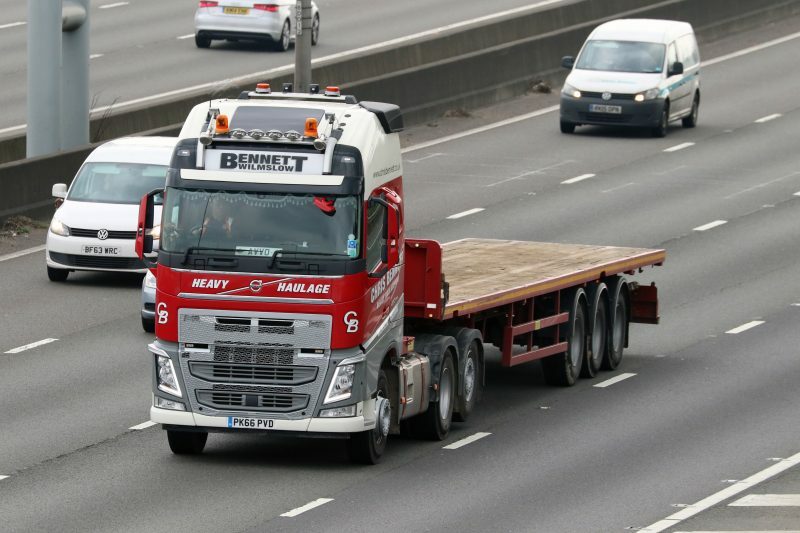 Here at Chris Bennett (Heavy Haulage) Ltd we pride ourselves in having a wide variety of vehicles and trailers to suit almost any requirement. Whether your goods are large or small, we at Chris Bennett (Heavy Haulage) Ltd provide everything you need to get your delivery to its destination on time and with the minimum of fuss. From a 7.5 tonne flatbed up to low loaders capable of carrying 100 tonnes, our mixed fleet of trucks and trailers give us a real flexibility to offer to our customers. We have more than 40 years’ experience in offering transport services to all major industries within the UK, including manufacturing, engineering and construction. Our client base features some of the biggest companies in the UK, including telecommunications, power and piling. Our experienced transport planners are available on 0161 406 8466 to offer advice and quotes for all types of vehicles and trailers, providing assistance to transport your goods safely and efficiently. Our range of hi-ab crane vehicles mean that we are specialists in moving containers and cabins, plant and machinery which requires lifting on and off our vehicles. Our beavertail rigid vehicle makes loading and unloading wheeled plant a simple task. We have recently renewed our articulated general haulage fleet, introducing ten Volvo FH460 tractor units, featuring the latest Euro 6 engine technology and i-shift gearboxes, providing a more efficient and environmentally friendly delivery. The latest satellite technology means that we can provide up to date information on your delivery including arrival time. Our rigid fleet includes 7.5 tonne to 26 tonne gross flatbeds as well as a 7.5 tonne gross tautliner. All our drivers are experienced in securing and sheeting loads, ensuring that your load arrives safe and sound. Our vehicles are maintained to a high standard both on site and with our franchise partners, Thomas Hardie Commercials Ltd.
Chris Bennett (Heavy Haulage) Ltd are proud of our vastly experienced and reliable drivers, who have many years of experience in delivering across the country, some of whom have been with us more than 20 years. The company provides regular training, including driver CPC courses as well as e-learning, FORS and Crossrail. We are one of the leading specialist heavy haulage companies in the country. Our approach is knowledgable and friendly, we provide a one-stop shop for all your heavy haulage needs, from transport to planning, escorting to movement orders and notifications. We can manage your whole transport project. Call us to discuss your requirements.